Home Jewelry Bracelets ALOR Classique Gray Stainless Steel Cable Swirl Bracelet with Diamond Accent and 18-Karat Yellow Gold. 7"
A sinuous swirl of gray stainless steel cable creates this bracelet from ALOR's Classique collection. Its open, airy design looks fanciful on the wrist. Featuring a diamond accent, ALOR's 18-karat yellow gold logo charm dangles at the clasp. STAINLESS: Stainless steel is steel alloyed with at least 10.5% chromium. The presence of chromium increases the steel's ability to resist corrosion, rusting, and staining. Stainless steel is often used in watches and modern-industrial jewelry design. ALOR Classique Diamond Station Bangle in Stainless Steel and 18-Karat White Gold. 7"
ALOR Classique Diamond Station Bracelet in Yellow Stainless Steel and 18-Karat White Gold. 7"
ALOR Classique Two-Tone Stainless Steel Multi-Cable Bracelet with 18-Karat Yellow Gold. 7"
ALOR Modern Cable Mix Crossover Bracelet in Stainless Steel and 18-Karat Gold. 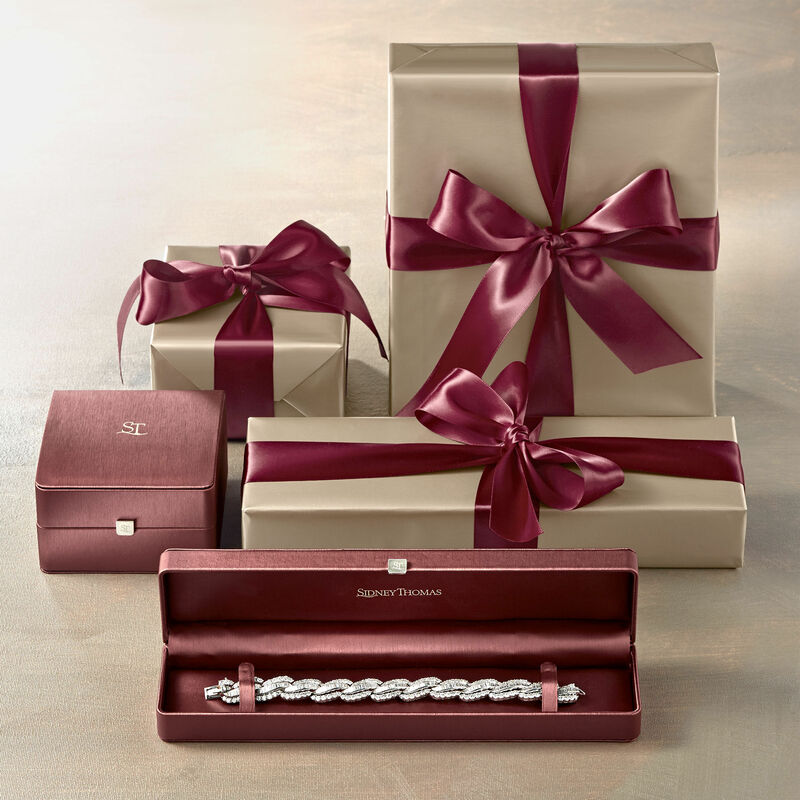 7"
ALOR Classique Three-Row Diamond Cable Bracelet in Stainless Steel and 18-Karat White Gold. 7"
ALOR Noir Black Stainless Steel Wide Cuff Bracelet with 18-Karat Yellow Gold. 7"
ALOR Noir Black Stainless Steel Multi-Cable Bracelet with 18-Karat Yellow Gold. 7"
ALOR Burano 3.00 Carat Total Weight White Topaz Yellow Cable Bracelet with 14-Karat White Gold. 7"